Two grey buildings on 23rd Street loom like tombstones across the bright green lawn of Parque Ninos Unidos. The two buildings, which share three addresses between them—3067, 3069 and 3071—are noticeable for their state of disrepair. The rooms are empty, the upstairs windows shattered and exteriors are a motley pastiche of white and grey. Hastily applied patches of paint cover the graffiti that is regularly scrawled across the weather-beaten siding. 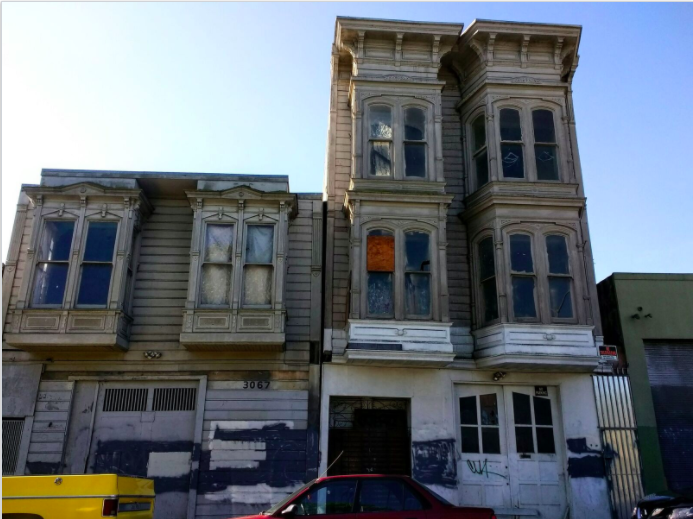 In 1995, the historic preservation staff of the San Francisco Planning Department conducted a survey of historic commercial and residential properties in the Mission, describing 3069-71, as “Stick/Eastlake” and noting that the apartment was “in good condition.” That was then; this is now. 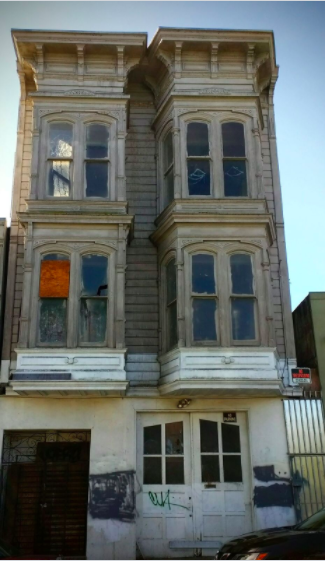 Both Food Not Bombs and the San Francisco Tenants Union include the abandoned apartment on their list of vacant buildings. The number of vacant buildings on 23rd Street continues to grow: Yoga Props, a yoga supply store on the corner of Treat and 23rd Street, was evicted, making all of the properties on 23rd Street between Treat Avenue and Folsom Street empty. Five buildings on the block – all now vacant – are owned by one family – the Gaehwilers. Only one business, Cal’s Automotive Center, remains. It is located at 1004 Treat Ave. It too, is being threatened with eviction. Two of the most battered properties—3067 and 3069—have triggered 18 complaints and eight Notices of Violation from the Department of Building Inspection, some dating back to 2001. “These properties have been vacant and an ‘attractive nuisance’ for decades. The owners do not meet their responsibility for taking care of keeping sidewalks in front of them clean and in repair,” complained a Missionite on the neighborhood site Nextdoor. According to neighbors on Nextdoor, squatters have been able to pry back the heavy boards, and enter the premises. The doorways of 3069 and 71 are blocked by two heavy slabs of wood blocking both doors, a measure of security probably undertaken after the upstairs rooms were broken into and tagged with graffiti. Graffiti isn’t the only writing on the walls of the property. In the right light it’s possible to see a faded sign on the walls of 3067. The name “John Gaehwiler,” appears in colors more muted than dust. Below that, painted on the frame of the double doors, is the sentence fragment, since 1902. Since 1902. Photo by Elizabeth Creely. This enigmatic assertion marks the date that the John Gaehwiler, an immigrant from Switzerland began operating his own forge on 23rd Street, a site that had housed a blacksmith for more than a decade before Gaehwiler’s purchase. In 1890, John P. Barnes, listed as a “horse shoer” opened shop there. 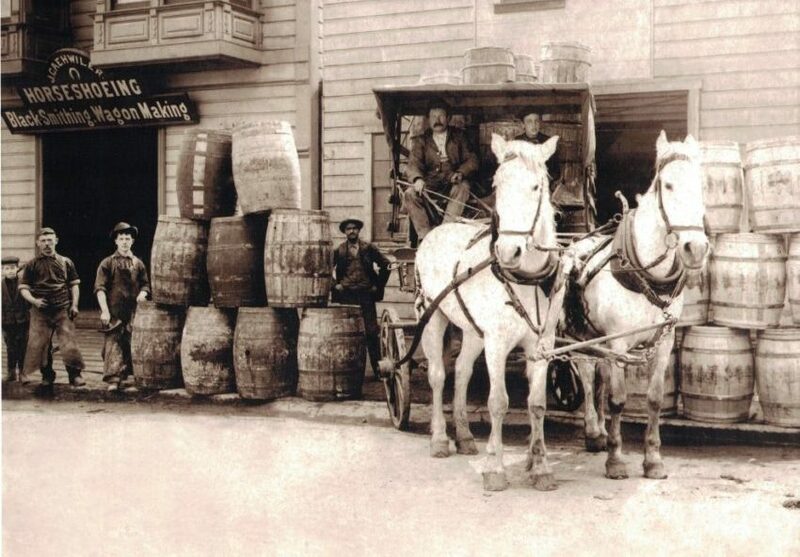 Horses – the basic unit of transportation in the city – were everywhere in the streets of San Francisco, pulling streetcars, carriages and wagons, occasionally slipping their traces and running away, and often kicking blacksmiths (or unattended children) in the head, usually fatally, according to newspaper accounts. 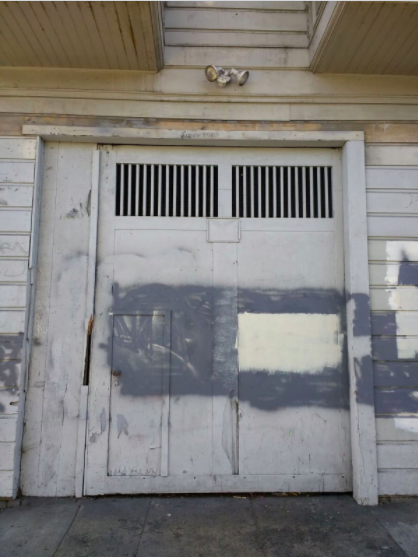 They were stabled throughout the Mission in places like the Blackhawk Livery and Stables, the “leading stables of the Mission” located at Valencia Street between 20th and 21st. The Black Hawk Livery Stables. In 1899, Barnes sold the business to James D. Jeffers, another blacksmith. Jeffers lasted three years before selling the business to John Gaehwiler. Jeffers wanted out of more than his business. He committed suicide shortly after selling out by asphyxiating himself with gas, according to an article in the San Francisco Call. Perhaps it was the competition that drove him to despair. The number of blacksmiths working in the city had grown. Eighteen of them were located within walking distance of his forge. The Gaehwiler family showed more resilience than Jeffers, but may have had fewer competitors and more business, thanks to the 1906 earthquake. In January of 1915, Gaehwiler opened a stable for four horses across the street on the corner of Treat and 23rd Street. 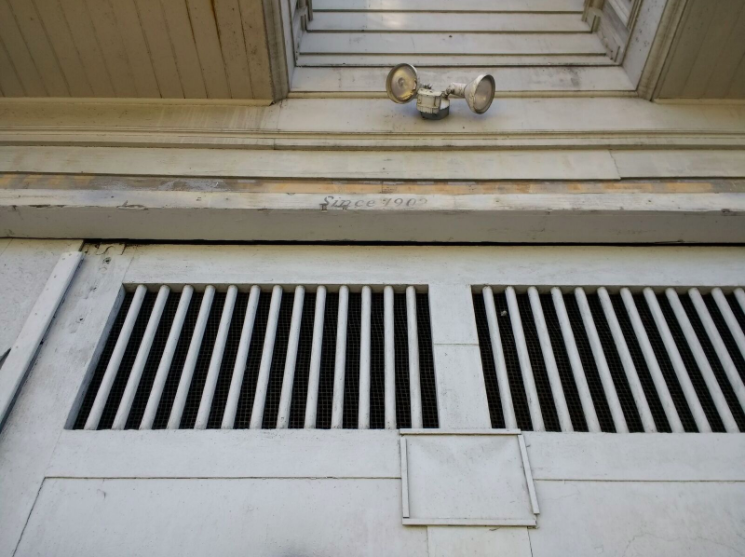 It was one of eight stables – in one week– granted permits to build in the Mission. But despite the seeming demand, another sort of stable was on the horizon. The Lotus Garage, an “auto livery”, opened on Valencia Street in 1918. More followed. 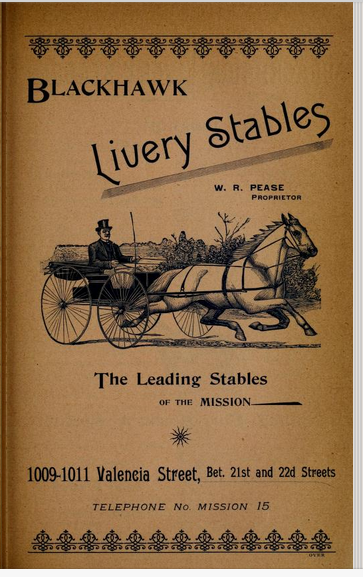 By 1927 there were no more horse stables listed in the city directory for the Mission District and only eight horseshoers left in the Mission. The Gaehwiler business turned to truck repair sometime before 1951. By 1956, no business was listed at 3067 23rd Street and only six blacksmiths still worked in the city. Today, only one— Klockars Blacksmith on Folsom Street—remains. Nothing has re-opened in any of the vacant properties on 23rd Street. “It’s not illegal to have a vacant property,” Mike Gunnell, inspector for the Department of Building Inspection, said. He added that the property owners have been “a bit of a challenge” and have “seemed upset” when confronted with the city’s enforcement of building codes. According to the Anti-Eviction Mapping Project, the John and Bertha Gaehwiler Family Trust used the Ellis Act, which allows landlords to exit the rental business, in 2001 to evict four tenants from 3067 and 3069. Soon after the tenants were evicted, a homeless encampment sprung up. “Homeless people have been in and out of them for quite a while. The neighbors on the other side have reported hearing voices inside,” said Delgado, adding that on at least one occasion, there were reports of what looked like campfires in the building. It’s not clear if any new business will be housed in the newly emptied space where Yoga Props opened in 1989. Calls to Heidi Barbarini, property manager for the trust and the daughter of John and Bertha Gaehwiler, were unreturned. The Yoga Props sign has been taken down and tagging is beginning to take over the outside of the building, forming an almost solid series of lines and dashes that wraps around the rounded corner of the former storefront. The only sign of life left on the street, is the hand-painted, rapidly fading advertisement—since 1902—a boast of longevity, written long ago about a family business that’s no longer there. One of the properties on 23rd Street, now abandoned. Fascinating and well-researched. These buildings need to be fixed up and preserved. I was able to go inside the ground floor of 3067 one day when the maintenance guy for the properties was working in there. The garage space and the yard still have wagon wheel parts, old carts, and other ancient relics from their former uses (also the most spiders I’ve seen assembled in one place). I can’t imagine there are very many preserved spaces like that left in the city. The more modern green building to the west of these was a cabinet shop and is still set up as a cabinet shop -filled with wood and woodworking machinery. Beyond the need for housing, there are many thousands of sorely needed manufacturing/workshop space among the buildings on that block. Such a shame. The most likely outcome is that vandals will solve the Gaehwiler’s problem with a fire. Very interesting article on a little piece of the Mission. Kudos Elizabeth Creely! There was a movement, maybe it started in Rochester New York, when people would simply occupy derelict and abandoned housing. They would fix it up, connect utilities and make repairs and simply live in these houses illegally. They introduced themselves to their neighbors and explained what they were doing, kept the sidewalk clean, etc. The neighbors ultimately were supportive because a responsible squatter is better than an abandoned building or god knows who. Even when the cops came by they didn’t take action because there hadn’t been any complaints. This would go one for years and in some cases the homes were handed over to the squatters by the former owners. There is a ripe opportunity for his here. A couple hundred bucks of paint and hardware, and a couple weekends of cleaning and you would have a rent free place to stay, if somewhat uncertainly. Right but you can only really do this when the landlord/owner is totally out of the picture. You would have to cross your fingers that the Gaehwilers don’t make any moves to evict you for 5+ years. Fascinating. I’ve often walked buy those buildings wondered about their stor Thank you. It makes me wonder if the owner is very old with no descendants. I love the idea of utopian squatters and DIY urban renewal, although I suspect that it would take more than a can of paint to bring ancient wiring and crumbling foundations up to code. if that lettering says “since 1902”, where is the “pre 1906” plaque?